Sorry about the CAPTCHA, the bots were getting too bad and too numerous. Dear Author!Thank you very much for this site, your program.It really worked.Also it was surprisingly to found sources. Sorry to tell you this but it doesnt work! All feedback good and bad is welcome. Most people seem to be able to get it to work, I track failures versus successes and successes win 8 to 1. I continue to monitor the numbers. Brilliant. It solved my cube which had never been returned to the solved state before. Thanks for this wonderful tool. I love this site!!! I\'m kind of OCD about having my Rubik\'s cube solved and have 4 kids who love to mess it up. Needless to say, I use the solver often. Thank you for giving me a way to solve my cube that doesn\'t take me all day because I rarely have even 5 minutes. I love thinking through how to solve the cube on my own but this site is great when I don\'t have time to exercise my brain. Doesn\'t work for me. It sort of gets close, but doesn\'t actually solve the cube. I had to try about 3 times before it solved it. Tried a very similar app on the iPhone with no problems, so I suspect there\'s something wrong in your code. Without further details it is hard to determine if the server timed out on your cube or if it is actually a code problem. You go on to say it did solve it on the third time. If you have an app that provides you better results than you should probably use that. :-) This is still the only app/site that I have seen that boils the solutions down to an easy to use instruction. Everyone else seems to require high processing animations or crazy terminology. Suggestions and feedback are always welcome. The website basically just puts together a nice GUI to interface with the C code at the links above. colour selection on three of the colours has suddenly been disabled! I have gotten several reports of this but have been unable to recreate the bug. If you run into this issue please let me know what browser and device you are using. I want to get the site back to 100% for everyone but until I can recreate the issue I cant fix it. I\'m really happy I found your page. Especially that moves are doesn\'t depend on position between sides, but just side you want to rotate. It\'s helpful to solve some though rubik\'s puzzle. Thanks! Bloody Brilliant! You are so clever Thank you! This thing is EPIC!!!!!!!!! My rubik\'s cube has been scrambled for YEARS!!!! Literally, years. Even the Ruwix solver couldn\'t get it, but thank you for giving me the answer! An awesome bit of coding. Respect. You are great.... thank you so much! Danke well!!! You are welcome. Thank you for taking time to give feedback. This is awesome.... wish i could get the tips and tricks to solve it.. 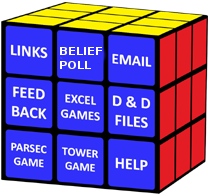 It has links to sites that show the basics on how to solve the cube. I\'m doing a livestream on websites to use for solving rubik\'s cubes, but I won\'t have internet connection while doing it. I need a app on amazon app store to show this website even though it won\'t be a website I still need it. By the way your website ranked #1! Please reply to this feedback and if you make the app tell me what it\'s called. Thank you for understanding. Thank you for your feedback. I have been thinking about making an app for my solution user interface but I have a bunch to learn so it won't be anytime soon. It sounds like a standalone one that does not require internet is what you would like. I will include that in my study of making apps. I suspect that ups the difficulty significantly. Not affiliated with the Rubik's Cube Trademark. This site copyrighted 2007-2019 by DAK Ventures, LLC.